Brynavon was founded over forty years ago based upon this simple guiding principal. Management teams rarely have the capital to acquire the company for which they work, but that is exactly where Brynavon fits. Our team is dedicated to providing companies the opportunity to grow through successful ownership transition. Mr. Lemmon has over thirty years of experience as a principal and a manager of businesses whose revenues are under $50 million. From 1995-2004 Mr. Lemmon was the President and CEO of Owosso Corporation which was a $170 million, publicly-traded, diversified manufacturer which was comprised of 10 operating subsidiaries whose revenues were under $50 million. Prior experience included being a principal and CFO of Brynavon Group, Inc. from 1989-1994 as well as managing the acquisition program of that firm since 1985. 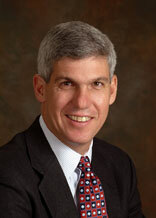 Mr. Lemmon received an MBA from Villanova University and is a graduate of Harvard College. He is currently a principal and a director of several small manufacturing and service companies and has been a Trustee of the Children’s Hospital of Philadelphia and The Children’s Hospital Foundation from 1996-2011. He serves on the advisory board of Day & Zimmerman which is a $2.0 billion diversified manufacturer and service company with concentrations in the staffing, power, and government service sector. 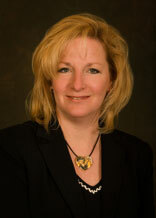 Patricia Wolfe joined the Brynavon Group in April, 2005. In her role as acquisition analyst, she is responsible for developing broker relationships, identifying and qualifying potential acquisitions, and coordinating the due diligence process up to final closing. For the past 19 years, Mrs. Wolfe has been pursuing a career path that has had a duel focus on the managerial and legal aspects of small businesses. As a paralegal, Mrs. Wolfe has been presented with many complex situations culminating with her director-ship at the International Adoption Center from 1996 to 2002. In 1998, Mrs. Wolfe took a year sabbatical leave from the Adoption Center to purchase and run a small business with her husband. In 1987, Mrs. Wolfe received her paralegal certificate from the Main Line Paralegal Institute. Her course of study included Civil Litigation and Family, Corporate and Business law. She has continued her studies at several institutions including Carnegie Melon University, the Community of Allegheny County, and Desales University. Mrs. Wolfe is active in community sponsored youth activities.